The Vision Zero Alliance has written an open letter to the Los Angeles City Council’s Transportation Committee, which will consider the city’s proposed Vision Zero Action Plan at today’s meeting. 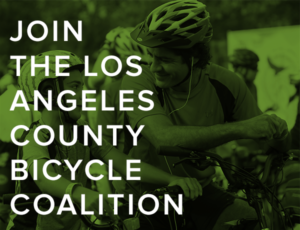 While they support the city’s efforts to eliminate traffic deaths, the Alliance, described as “a coalition of over 20 community organizations dedicated to ending traffic deaths and serious injuries in Los Angeles,” takes issue with some parts of the plan. The Action Plan serves as a critical step to ensuring that the Vision Zero initiative remains grounded in transparency, accountability, and evaluation. It also represents the City’s commitment to protecting the safety of all road users. The Los Angeles Vision Zero Alliance applauds LADOT for its efforts in completing the Action Plan, which reflects extensive coordination among multiple agencies and organizations. We particularly appreciate the department’s ongoing commitment to engaging with and being accessible to the Vision Zero Alliance throughout the development of the Action Plan. However, we remain unsatisfied with a number of elements of the plan. Our primary concerns relate to enforcement, data transparency, and community engagement. Additionally, we are worried by the lack of attention paid to speed and to the weak commitment in funding. I’m particularly glad they share some of the concerns I’ve expressed, which are reflected in that last sentence. We have additional concerns regarding speed and funding. Despite vehicle speed being a primary predictor of crash severity, the Action Plan lacks a bold and coherent strategy to manage it. We appreciate that the City intends to “consider legislation on automated speed enforcement” in 2017, but would like to see a more comprehensive set of actions to address local control of speed limits and the implementation of engineering projects specifically intended to slow traffic. We are also displeased with the low level of funding allocated to Vision Zero projects this year. A serious commitment to ending deaths and severe injuries on Los Angeles streets demands serious funding. Only with a realistic investment in robust engineering projects, education, engagement, and enforcement will Los Angeles ever realize Vision Zero. It’s worth reading the full letter. And demanding that the city adopt a plan that is fair for everyone, and will truly take the steps necessary to end the plague of traffic violence in out city. 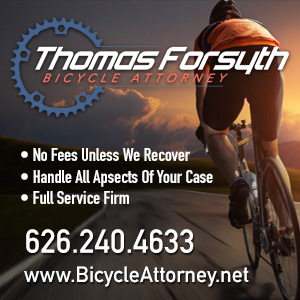 An Orange County bike rider needs your help. The Orange County Register reports that Steve Schenkenberger, a father of five from San Juan Capistrano, was struck by a hit-and-run driver near Niguel Road and Ridgeway Avenue on Super Bowl Sunday. Newport Beach Patch is more specific, placing the time of the crash at around 8:56 pm. There were no reported witnesses, he was found by passersby who called for help. Luckily, one of those was a paramedic and his wife, who cared for him until help arrived; she describes it in heartbreaking detail. According to a fundraising website, Schenkenberger suffered injuries throughout the left side of his body, along with a severe brain injury resulting in emergency surgery. He’s reportedly improving, but remains unconscious and heavily sedated. As of this writing, the fund had raised over $34,000 of the $100,000 goal to help pay what are sure to be massive medical expenses, as well as care for his family, for which he is the sole provider. Clearly, they have a long way to go. Anyone with information about the crash or driver is urged to contact the Orange County Sheriff’s Department in Aliso Viejo. Thanks to Rod Daryabigi and Lois for the heads-up. Frenchman Roger Walkowiak, the world’s oldest surviving Tour de France winner, passed away Tuesday at 89; the unheralded son of a Polish factory worker won the 1956 Tour with a solo breakaway on the famed Croix de Fer. Cycling Weekly talks with 19-year old US junior cyclist Adrien Costa, calling him the next Greg LeMond. Sad that they had to go all the way back to the 1980s to find a scandal-free American cycling icon to compare him to. VeloNews looks at the dangers of Tramadol, a less potent opioid painkiller that’s legal to race on under current doping rules. Traditionally bike-unfriendly USC is working on a beautification project to increase capacity for bicyclists and pedestrians on the Trousdale Parkway entrance to the campus. A sidewalk-raging Santa Clarita transient was arrested on suspicion of vandalism for throwing an object at a driver who had apparently cut him off as he existed a driveway. 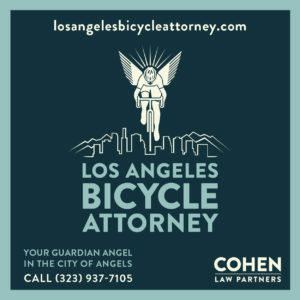 A California sustainable transportation website launches a new series titled Bicyclists Are Human. Something that shouldn’t have to be said, but too often does. Six California rides make the list of the nation’s 15 top Gran Fondos, including the Malibu Gran Fondo, and the one-year old Phil’s Cookie Fondo hosted by LA’s own former pro and cookie monster Phil Gaimon. San Diego cyclists hope to repurpose a boarded up 1940s building next to a bike path as a bicycle center. Ebikes are moving into Santa Cruz. And La Quinta, too. A 56-year old bike rider in San Francisco’s Tenderloin district faces charges after allegedly punching a 20-year old woman and rifling through her pockets. A San Francisco bike shop owner is crowdfunding a parklet he wants to build in front of his store. An injured San Francisco bike rider offers a reminder that rain-filled puddles can disguise hidden dangers. Here’s a chance to get technical, as VeloNews explains how differences in bicycle geometry affect how a bike rides and handles. A British Columbia researcher says bicycle education in the US is in desperate need of an update, questioning whether bicyclists are really safer riding in the traffic lane. Wired says ride your bike like a kid and make it fun again. Which is a great idea, except they get most of it wrong. 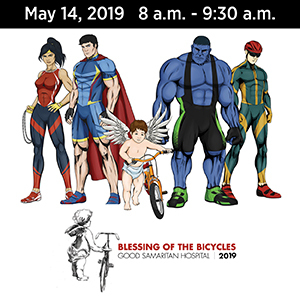 Spandex clothing is actually designed to wick away sweat, while reducing wind resistance and chafing; flat pedals only allow you to apply force on the down stroke, reducing efficiency. And the health benefits of riding far outweigh any risk of heart damage from extreme training, which most people will never do anyway. Colorado cyclists will have to keep stopping for stop signs, as a bill to approve the Idaho Stop Law in the state, legalizing what many bike riders already do, was killed in a legislative committee; a Durango paper blames Senate Republicans. The Texas Medical Alliance gave away 400 bike helmets to four and five-year olds. Wisconsin cycling icon Chris Kegel passed away from a rare form of liver cancer; the owner of a regional chain of bike shops had been on the founding boards of PeopleForBikes and the League of American Bicyclists. A bike-riding Illinois reporter is suing the local police department for false arrest after they busted him for filming them. You have a 1st Amendment right to record anything that occurs in public, whether the actions of police or anyone else, as long as you don’t interfere with an officer in the conduct of his or her duties. And no, standing across the street recording an arrest is not interfering. A cyclist in Illinois ask why bikes can’t evolve like cars have. Except pretty much all the improvements he calls for are available in one form or another, from disk brakes and belt drives to automatic gearing. Bicycling rates continue to climb in New York despite slower growth in the city core, as riders respond to the continued expansion of the city’s bicycle network. Why is it always Florida? A man in his late teens or early 20s exposed himself to a group of people by going naked from the waist down, then took a public poop before riding away on his bike. Two brothers from Mexico are planning to ride the entire west coast of the US from Tijuana to Vancouver, in part to challenge stereotypes of Millennials as apathetic and superficial. A Canadian city legalizes scofflaw cyclists by designating the raised roadways they’re already riding on as cycling facilities. Caught on video: A bus driver with the official title of Britain’s Most Hated Cyclist catches a woman FaceTiming behind the wheel. British police finally capture a bike-riding serial groper who allegedly attacked 24 women. In yet another attack on bicyclists from London’s bike-hating Daily Mail, a writer asks if anywhere is safe from the Lycra louts. Cycling Weekly responds that it includes every anti-cycling cliché known to the human race, and some new ones, too. A new Scottish safety campaign urges drivers to slow down. I want to be like him when I grow up. A 77-year old British man will ride the full route of this year’s Giro d’Italia, covering 2,100 miles across Italy. A British writer rides through the tip of Africa on the first South African Eroica. A 15-year old junior cyclist finds himself a man without a country after forfeiting his German passport, then getting booted out of a Malaysian school. A Philippine website looks at the causes of road rage and what drivers can do about it. Which can apply to those of us on two wheels, too. Four words: speed dating on bikes. If you’re going to buy a hacksaw to cut a bike lock, don’t try to return it afterwards — and make sure it’s not a bait bike. And make sure your damn shoe fits before you get behind the wheel.